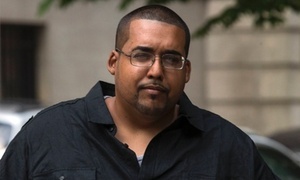 Former Anonymous and LulzSec hacker Hector 'Sabu' Monsegur does not believe North Korea had the capability to commit such a cyber attack as the one that was perpetrated against Sony Pictures. "For something like this to happen, it had to happen over a long period of time. You cannot just exfiltrate one terabyte or 100 terabytes of data in a matter of weeks," Monsegur added. "It's not possible. It would have taken months, maybe even years, to exfiltrate something like 100 terabytes of data without anyone noticing." Sabu led some of the most brazen attacks on corporations in the U.S. before he was eventually arrested and flipped as an informant for the FBI. "It could be [North Korea]. In my personal opinion, it's not," Monsegur said. "Look at the bandwidth going into North Korea. I mean, the pipelines, the pipes going in, handling data, they only have one major ISP across their entire nation. That kind of information flowing at one time would have shut down North Korean Internet completely. They don't have the technical capabilities. They do have state-sponsored hackers very similar to China, very similar to Russia and very similar to our good old USA." Sabu also agreed that any terrorist threats, including the ones that just got Sony to halt the release of 'The Interview' were just to create headlines and not real threats. "Do you really think a bunch of nerds from North Korea are going to fly to New York and start blowing up movie theaters? No. It's not realistic. It's not about 'The interview.' It's about money. It's a professional job," he added. When asked, Sabu says there is a chance the attack could have come from China. "I mean, it's possible. It might be a North Korean inside China." And what of the Korean language used to write the code? "Well, it doesn't tell me much. I've seen Russian hackers pretending to be Indian. I've seen Ukrainian hackers pretending to be Peruvian.There's hackers that pretend they're little girls. They do this for misinformation, disinformation, covering their tracks." There have been quite a few theories thrown around as to who could have pulled off such an attack and why, and Sabu believes there is also the possibility that an ex or current Sony employee could have pulled off the inside job, downloading all the information from the servers, selling it off, and then leaving the keys to the castle open. Sabu believes there is also the possibility that an ex or current Sony employee could have pulled off the inside job, downloading all the information from the servers, selling it off, and then leaving the keys to the castle open. Ding Ding Ding, we have a winner folks. Create a fake breach, get stricter copyright laws passed in your favor. The employee threats are just whipped toppings that make passing laws easier. many laws in America have been passed based on the security of its people. Who's to say that Sony didn't create this supposed threat from N. Korea simply to generate revenue from the movie. Each showing of the movie in this area is sold out. All of this movie revenue windfall certainly isn't hurting Sony's feelings any.